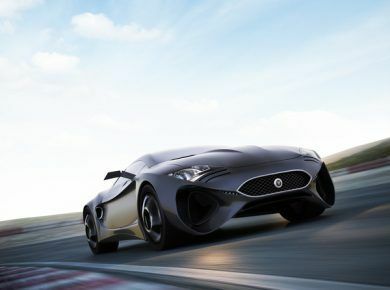 The British company Trident Performance Vehicles offers customers Iceni model, which is available at a cost of £96,000 ($161,500) for the base version, which is described as the fastest sports car with a diesel engine in the world. The model is available in three versions (Iceni, Iceni Magna and Iceni Venturer) and is powered by a 6.6 liter V8 turbo diesel engine with 294 kW/395Hp and 948 Nm of torque. Acceleration from 0 to 60 mph takes 3.7 seconds, while top speed is 190mph. Optionally are in the offer stronger versions, from 320 kW/430Hp and 1286 Nm and a racing version with the 492 kW/660Hp and 1422 Nm. Also, in the offer is a luxury pack which includes two-tone interior with leather and Alcantara, Heated door mirrors, Clarion multimedia system with 7-inch and much more. In addition, customers can also order a premium pack with elements made ​​of carbon fiber in the cabin, el. adjustable seats and heated front windshield. Also recommend to check our other post: 15 Fastest Cars in the World.